For anyone interested in startups, reading blogs is always a good way to catch up with community news and equip yourself with all kinds of startup knowledge. But if you are new to the startup community, it might be intimidating to follow the hundreds of blogs on different topics. Don’t worry, here we have 10 active, must-read blogs for you to start with! Both Sides of the Table is the brainchild of Mark Suster, an entrepreneur-turned-VC who sold his last company to Salesforce. His blog talks about entrepreneurship and tech news, and also provides valuable lessons for startup founders. Recommended reading: Should Startups Care About Profitability? Lisa Suennen is an investor and a healthcare industry advisor, and she is the senior managing director of GE Ventures. Her blog Venture Valkyrie features inspiring entrepreneurs and startups from healthcare and tech industry, and her articles on heated topics will always bring you laughter and thoughts. With experiences as an entrepreneur, VC and HBS lecturer, Jeff Bussgang sees the startup community from different perspectives. In his blog Seeing Both Sides, Jeff writes about education and trends and development in the community. And if you are new to the innovation landscape in Boston, do check out his yearly-updated slides on what makes Boston’s startup scene special! Recommended reading: MBAs and Y Combinator: Oil and Water? If you are interested in SaaS, Tomasz Tunguz’s blog is one you can’t miss. Tomasz Tunguz is a partner at Redpoint VC and writes daily, data-driven blog posts about key questions facing startups, ranging from startup growth strategies, team building to recent goings-on in the community. Feld Thoughts is where the Techstar co-founder Brad Feld writes about his stories and thoughts on startups, entrepreneurship and so much more. He combines his own experience with what’s going on in the community recently, and you will also find the further readings helpful. Mike is a VC at G20 Ventures and previously the Chief Marketing Officer at Actifio, and he is an active writer on Medium. He writes a lot about what entrepreneurs should know when they are looking for VC funding. Mike also hosts the popular Boston startup community podcast How Hard Can It Be? There’s a reason why it ranked the second on Forbes’ “100 best Websites for Entrepreneurs” list. David Skok is a serial entrepreneur, and his blog is not only a good go-to resource for startups, but also rife with insights on entrepreneurship, SaaS and sales & marketing. 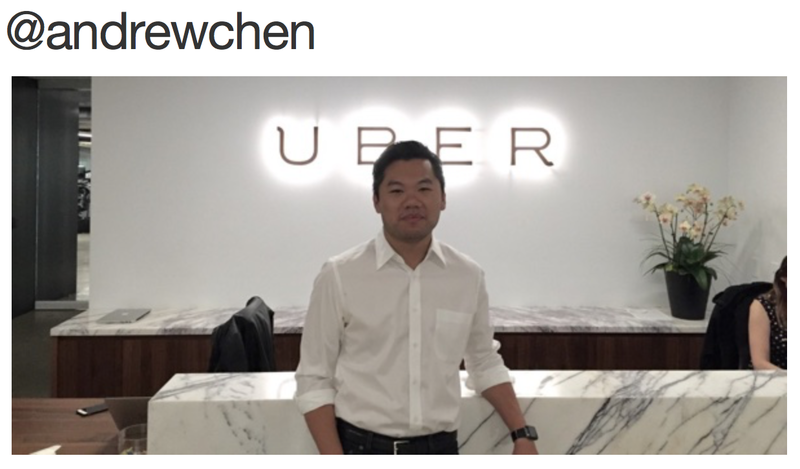 Andrew Chen is Head of Rider Growth at Uber and an advisor/investor for tech startups like AngelList, Boba Guys and Tinder. In his blog you can find in-depth essays on topics from mobile product design to the landscape of tech community, which provide interesting and unique opinions. OnStartups was started by Hubspot founder Dharmesh Shah. That single reason is probably enough for you to check it out. From marketing strategy to entrepreneurship, the detailed and bullet-pointed articles are incredibly friendly to anyone new to the community. In fact, it has grown into an active community on Facebook. Even if you haven’t read one of his 17 marketing books, you might have heard of some of his brilliant quotes. As an all-star entrepreneur and prolific writer, he has been blogging every day for years. Check it out and you’ll find the power in these daily tips. If you are looking to know more about startups, the best way is to work in one! Check out TechGen for cool internships at Boston startups! And don’t forget to follow us on Facebook, Twitter or LinkedIn for fresh internships every day! TechGen is the bridge between New England’s best university students and its top technology and healthcare companies. We connect local students and local companies, so we write about anything related to our ecosystem, talent trends, culture trends and the people who make our companies great.